Designed specifically for small spaces, the Icon 300’s flexible design fits perfectly in huddle rooms or mini meeting areas and comes equipped with advanced capabilities, including an ultrawide field of view to easily see everyone in the room, support for stunning 4K full-motion content sharing and incredible audio engineered for greater noise reduction. The Icon 300 is immediately available with pricing beginning at $2,999. 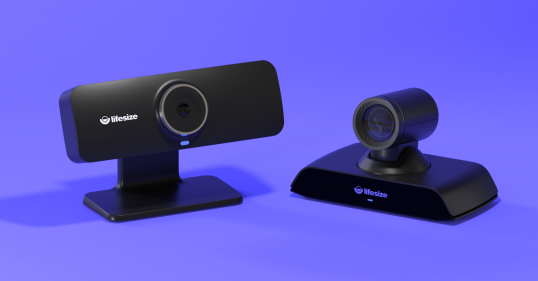 The new Icon 500 brings full-motion 4K content sharing and intelligent 4K video-quality to medium-sized rooms, along with support for dual displays and integrated 5x zoom to ensure meeting participants and content are presented in the highest-possible fidelity, even in bandwidth-constrained organizations. The Icon 500 is immediately available for pre-order with general availability expected in Summer 2019.